In disguise, I can see it in your eyes. Sorry, but if you drive by the Boat Angel billboard enough times, you won't be able to get that song out of your head either. What is "Boat Angel" you ask? The concept seems simple enough. Instead of selling your boat, you donate your boat to Boat Angel and get a receipt that will likely benefit you when you do your taxes next year. No, of course they do not give your donated boat to people in need… that would be silly. 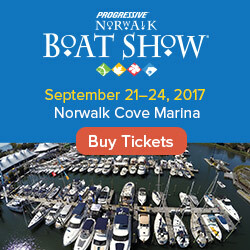 This video explains what they really do with all the boats that are donated from across the country. Basically, Boat Angel will sell your boat on eBay and use the proceeds for charity. The money is used for everything from Vans for Vets and Mercy Ships to animal rescue programs and drug rehab facilities. And there are plenty of religious organizations in their recommended charities list, most of them with the word "Bible" or "Jesus" in the name. 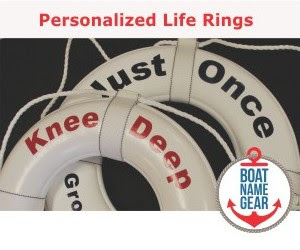 Don't let that scare you, as Boat Angel states that you can choose the charity that a portion of the proceeds from your old boat should go to. So, if you're having trouble selling your boat or if it costs you more to maintain or repair than you can afford, consider Boat Angel as an option. Besides the tax write-off, you'll also enjoy avoiding all the headaches of selling a used boat – paying for a classified ad, taking phone calls, showing the boat, price haggling, delivery, etc. And now, here's the payoff, because you know you wanted to hear it.